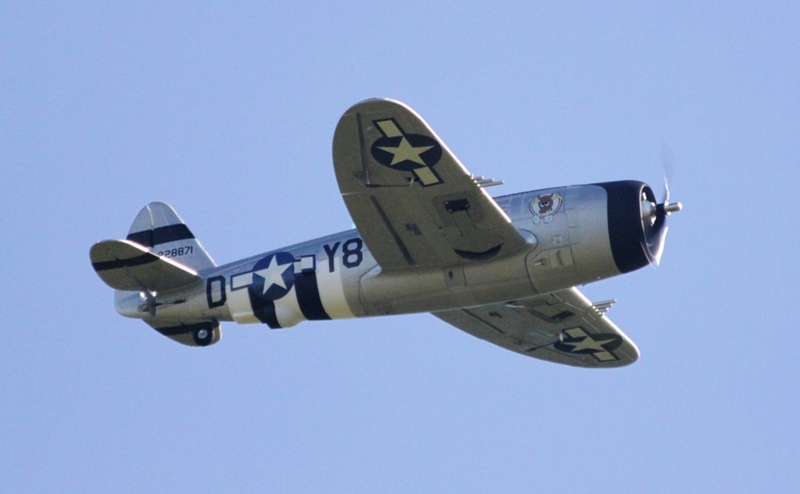 Welcome to the 2011 Blacksheep Warbird Fly-in page. 1. 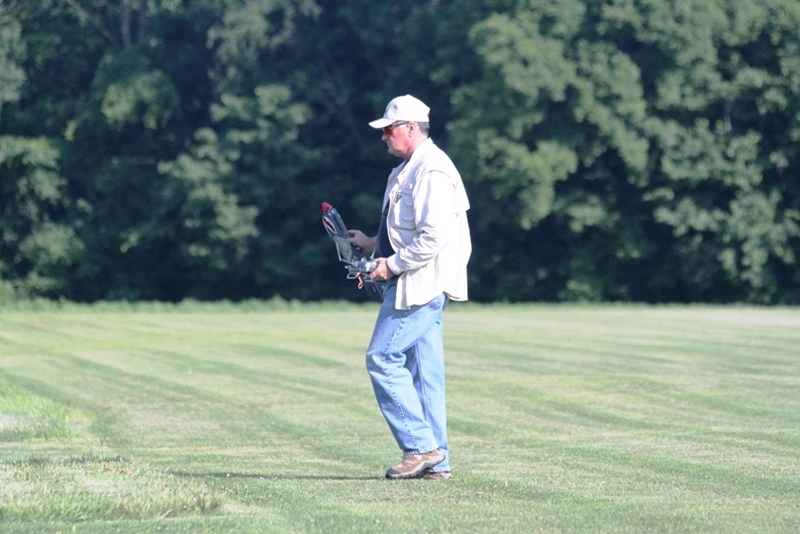 Mark Tudor taxing back in from one of many flights with his electric C-47. 2. 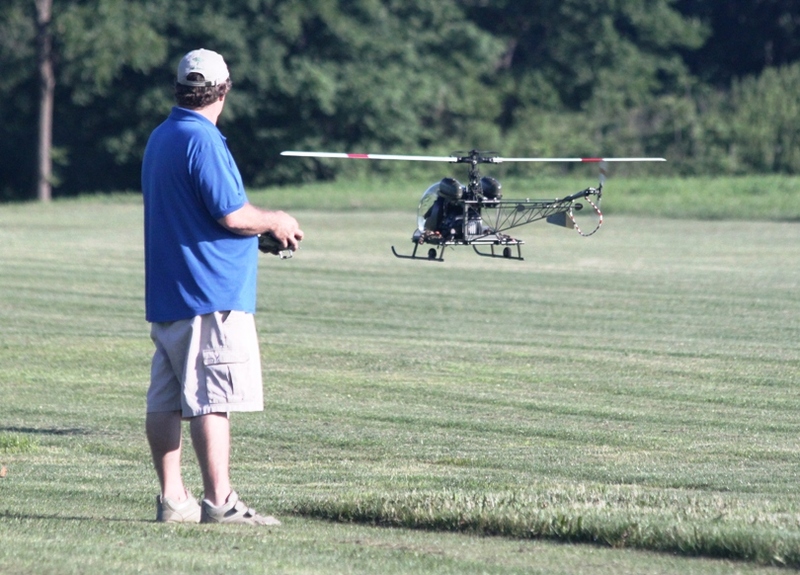 Mika Woodward hovering his Bell 47 gas powered helicopter. 3. 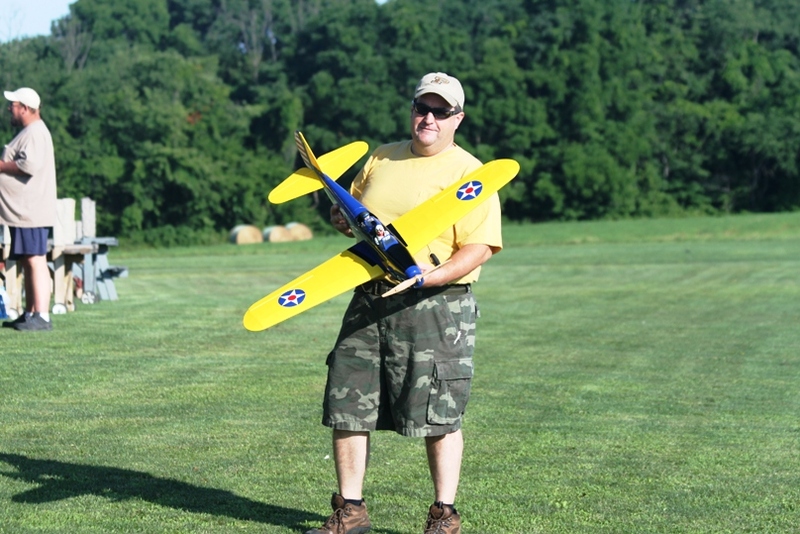 Jay Thomas with his Park Zone PT-19, nice flying plane. 4. 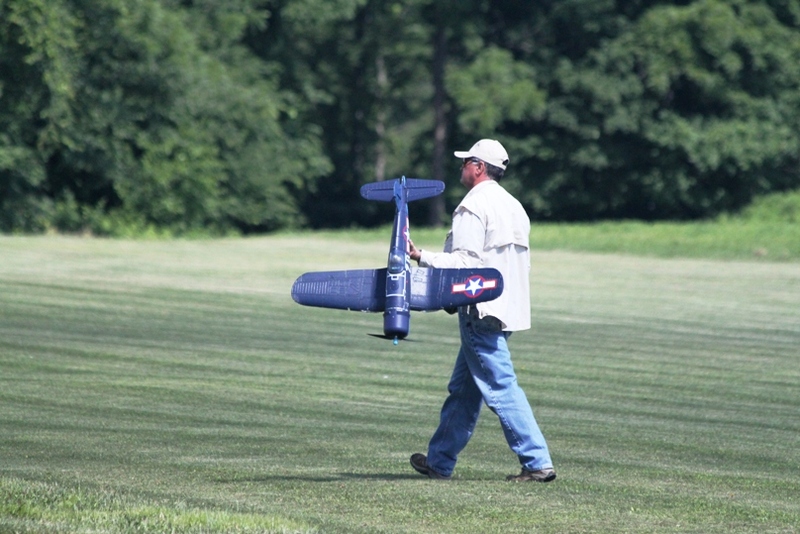 Bryan Baumer carrying out his new Park Zone P-47 Jug. 5. 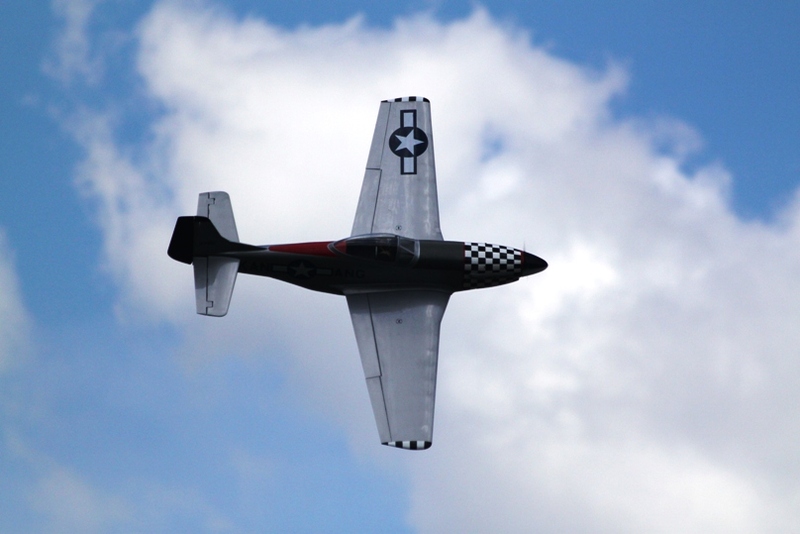 Bryan's P-47 in flight. 7. 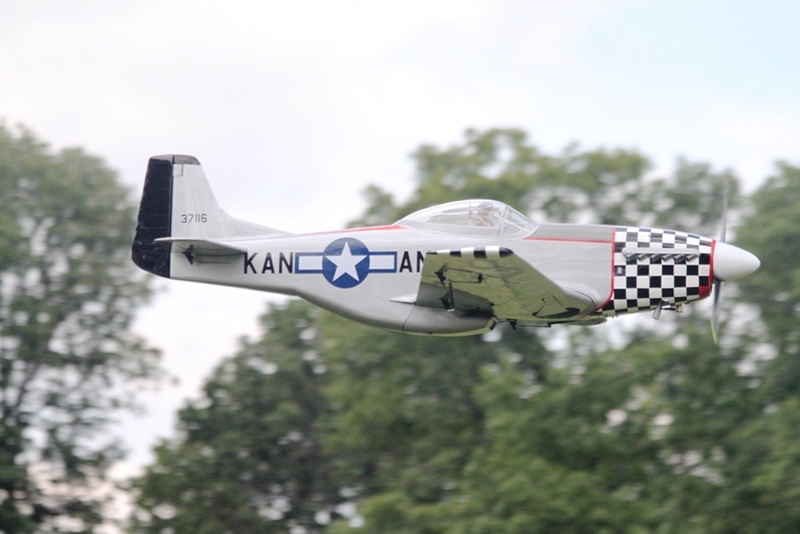 Matt's Mustang in flight, really looks good down low, down the runway. 8. 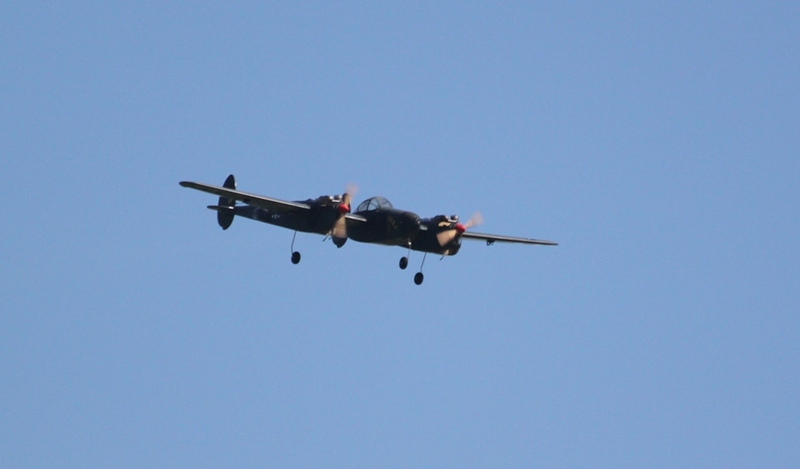 Coming in for a landing out of the sun end of the runway. 9. 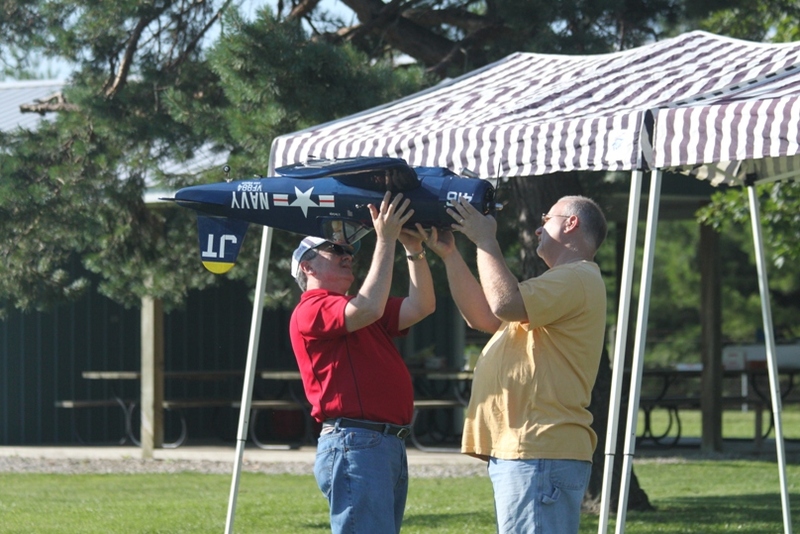 Tom Carlyle getting a hand form Dave Miller checking the CG on his Hangar Corsair. 10. 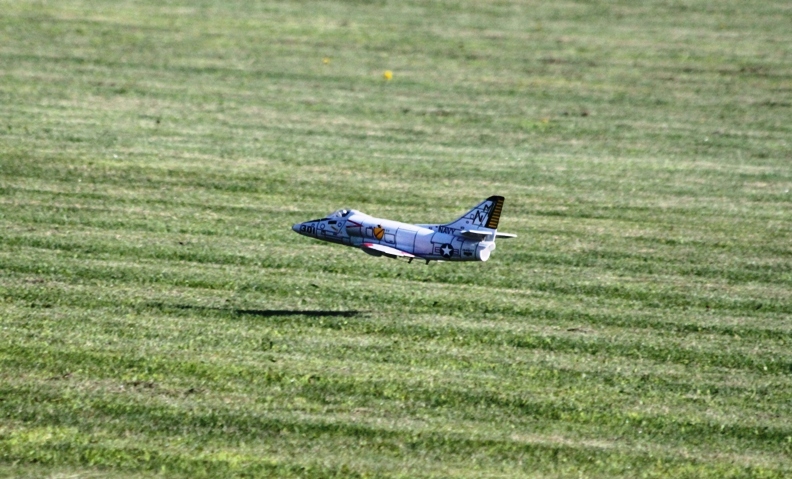 Mika Woodard's Venom A-4 Skyhawk. 11. 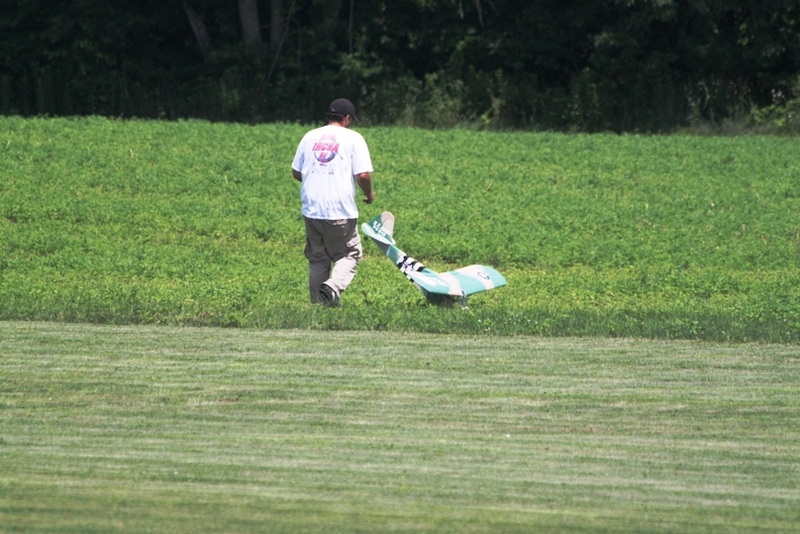 Mika retrieving his A-4. 12. 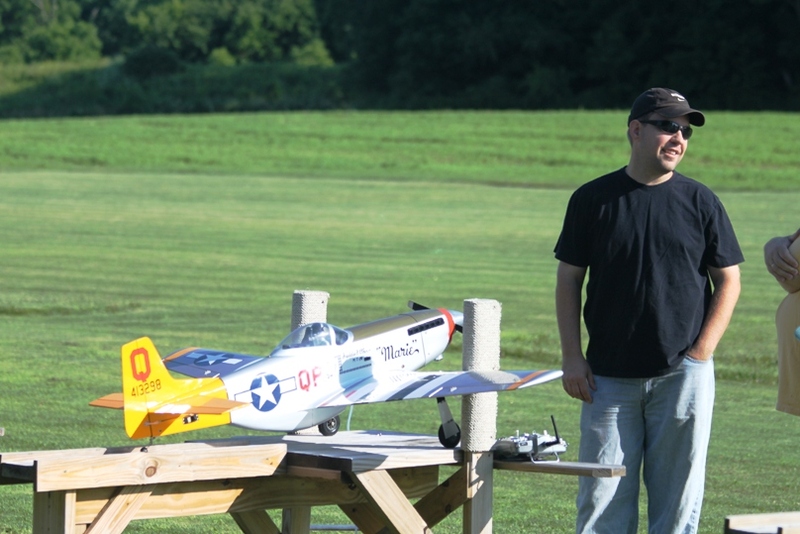 Greg Thompson with E-Flight P-40 Warhawk 300 size. 13. 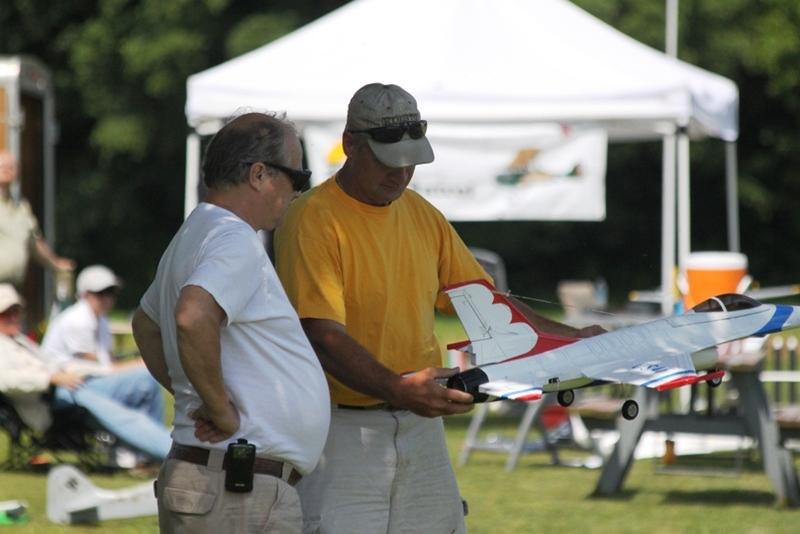 John Louden proudly displaying his micro Corsair, John also put in a lot of flights with his foamie F-22. 14. 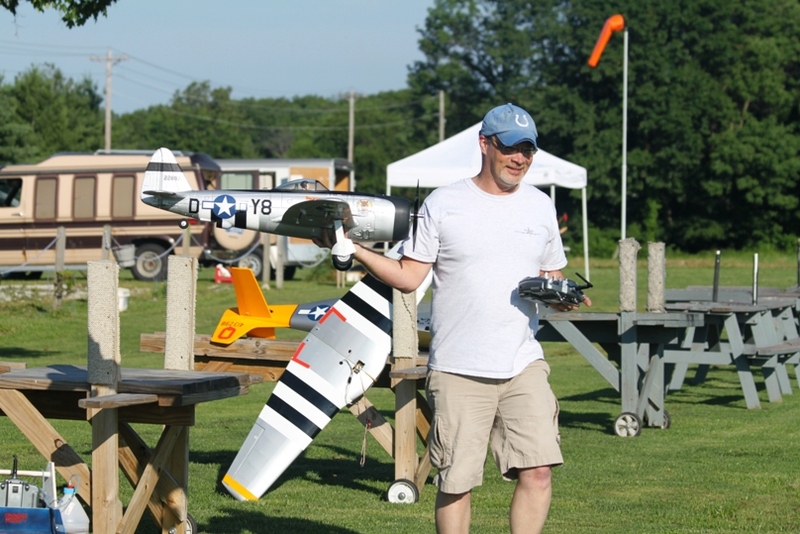 Steve Greer with his electric P-51 Mustang. 15. 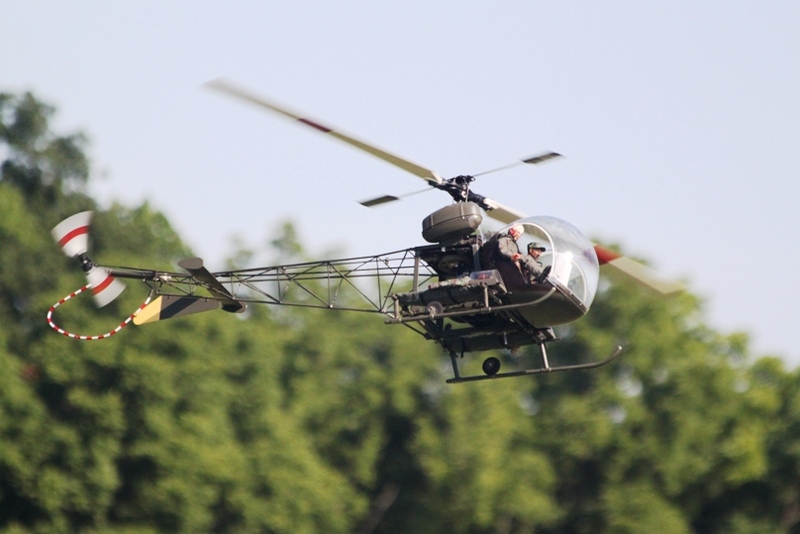 Mika's Bell 47, looks right it came right form the Korean War scene. 16. 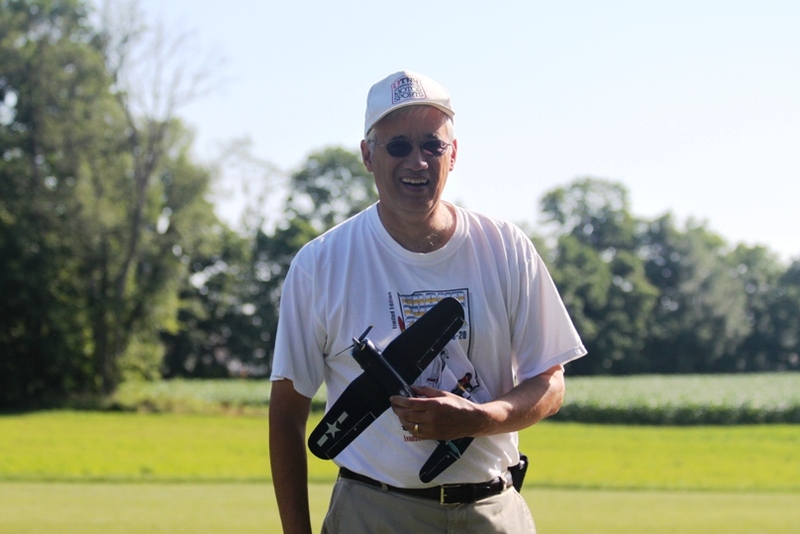 Don Trosper enjoying a flight with his Park Zone micro T-28. 17. 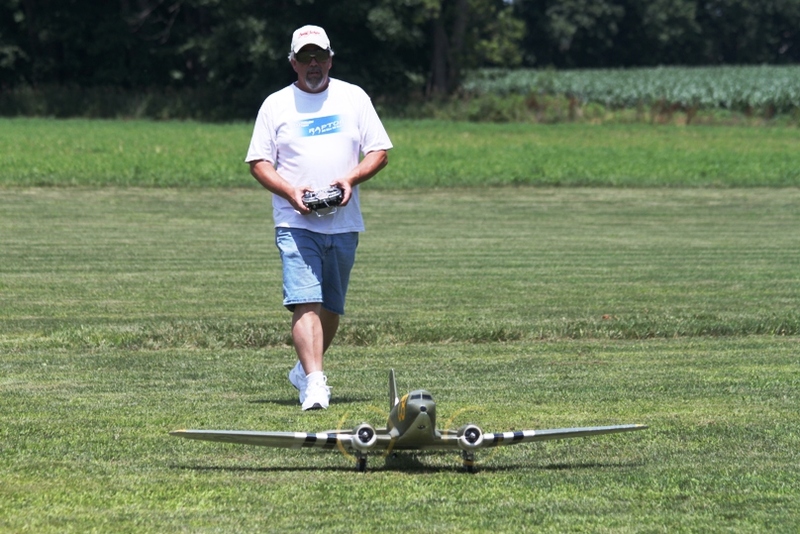 John Lawyer's Nitro Models P-38 Lightning, powered by 2 K&B .61's. 18. 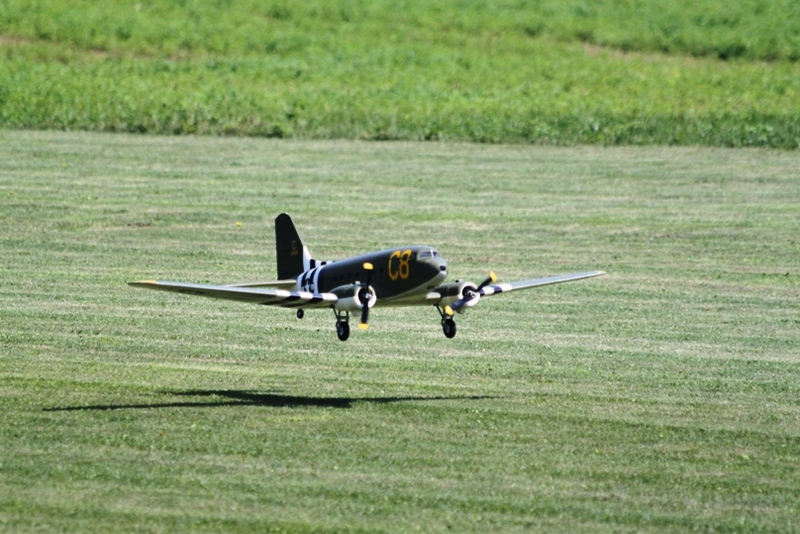 Mark Tudor's C-47 making a nice landing. 19. 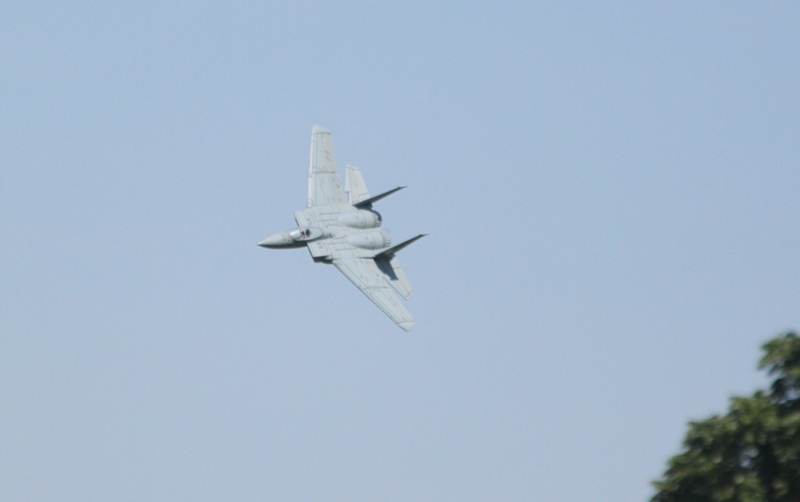 Mika Woodward's GWS F-15 Eagle, very smooth and fast. 20. 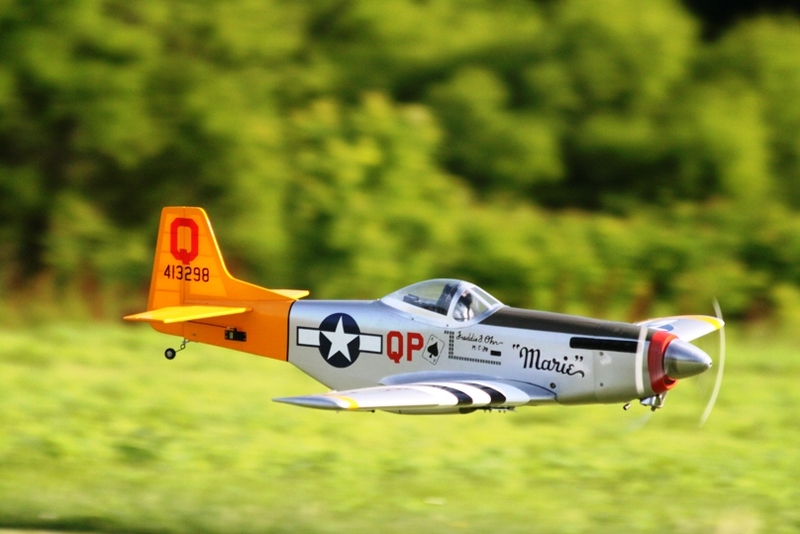 Steve Greer's P-51 Mustang landing. 21. 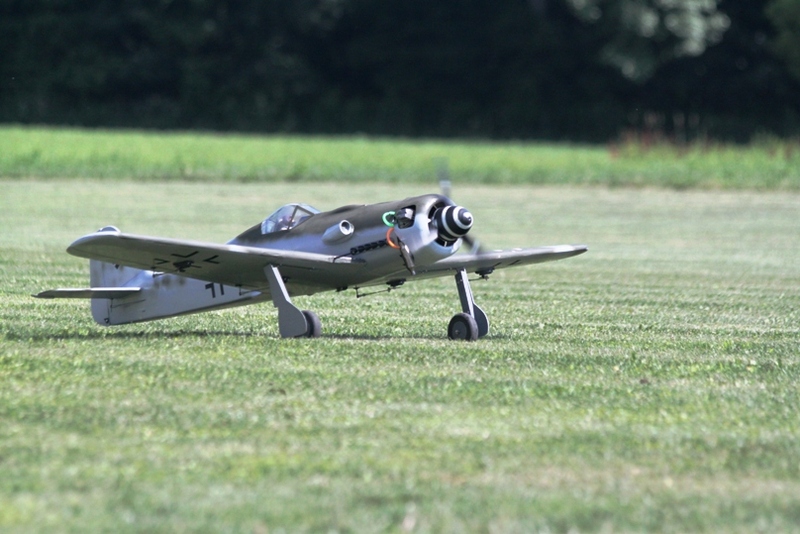 Charles Gray with his FW-190. 22. 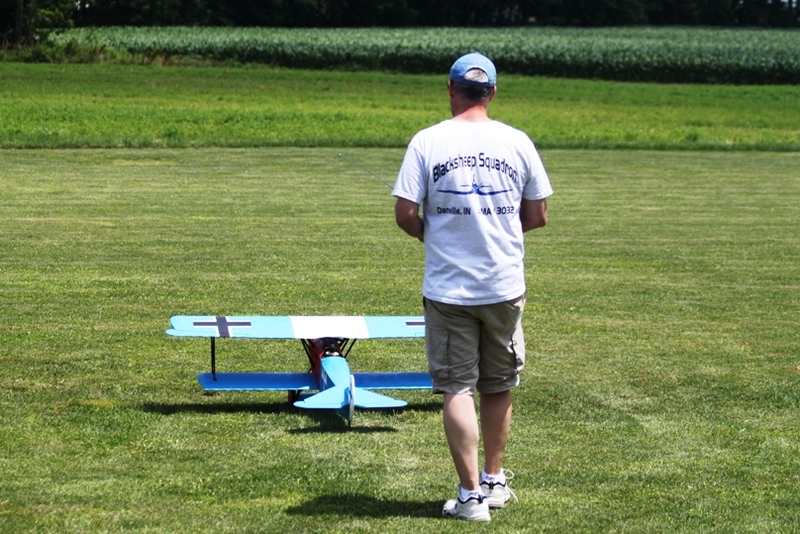 Greg Thompson with his larger Park Zone Corsair, flew it many times, very nice. 23. 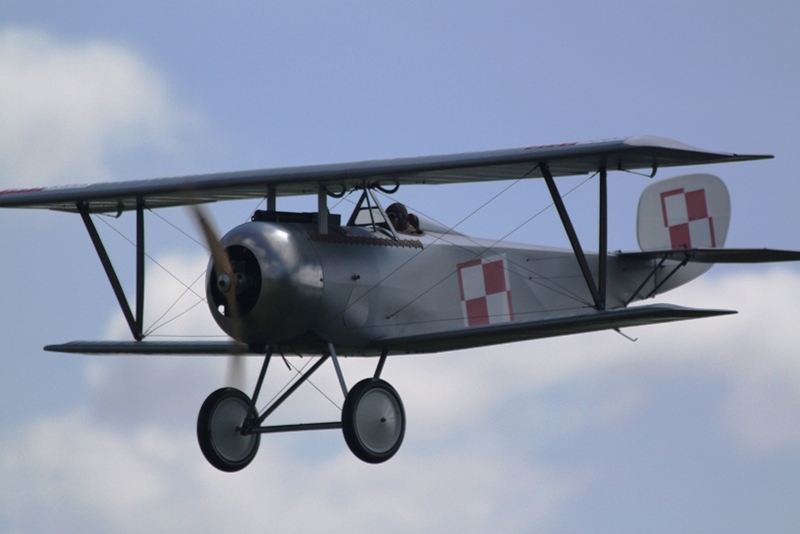 Steve Percifield's very nice Nieuport. 24. How many guys does it take to start a plane? 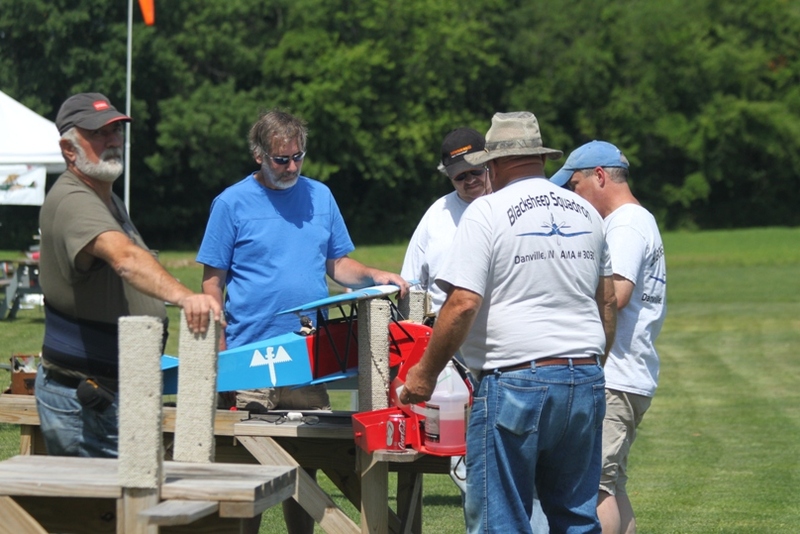 Several club members helping Bryan get his Hangar 9 Fokker DVII ready to go. 25. 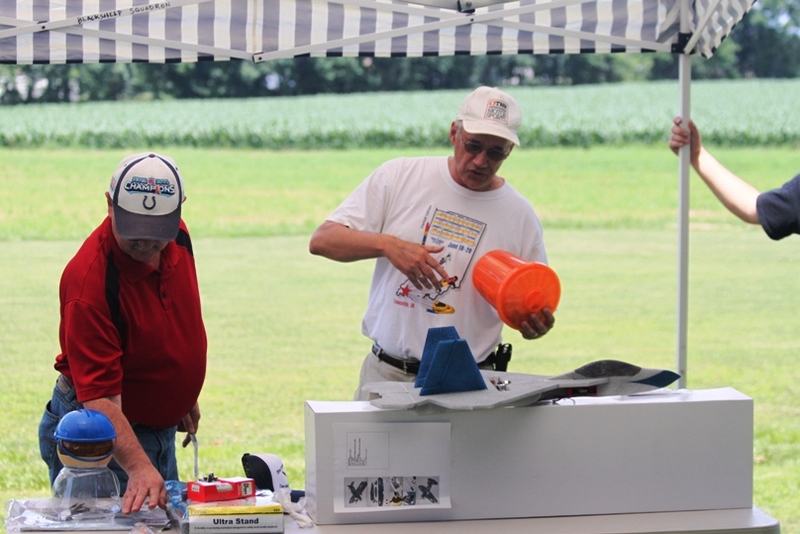 Don Presdorf holding an EDF F-16 talking to Weir, imagine that, about EDF jets. 26. 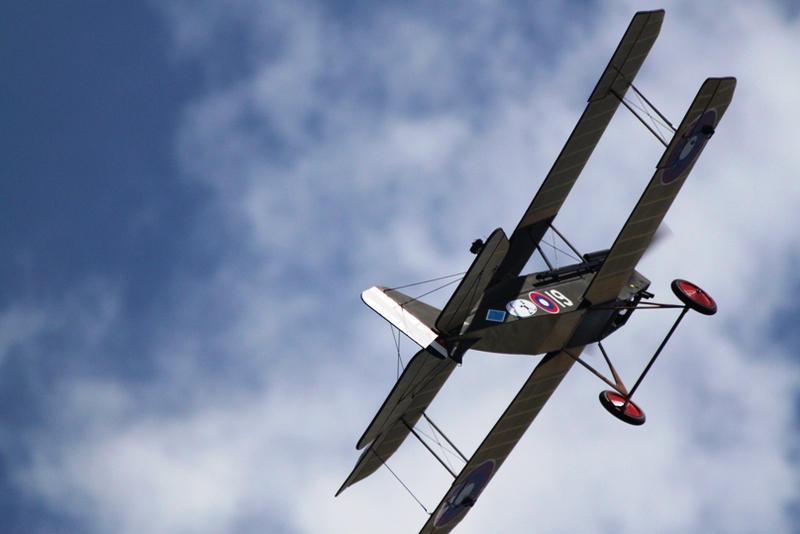 Steve's Nieuport passing away from the camera. 27. 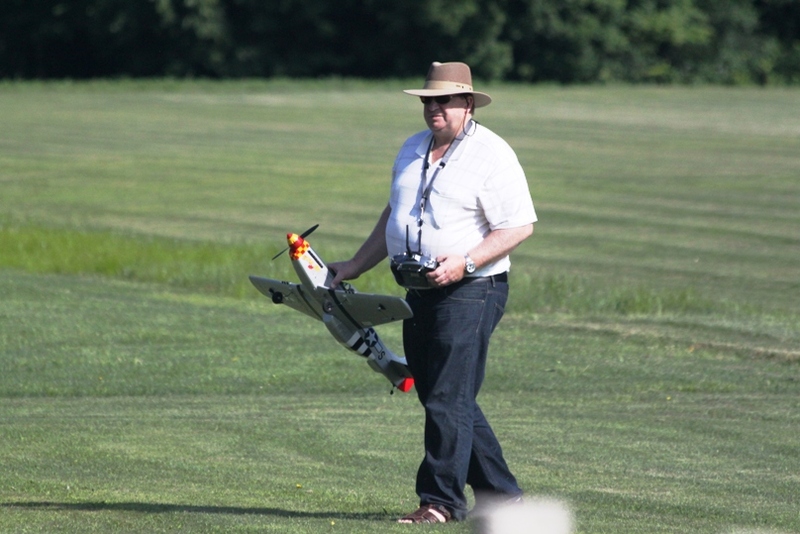 Ray Courtney and the P-51 walk of shame, actually his L-4 decided to check out the taller grass around the runway. 28. 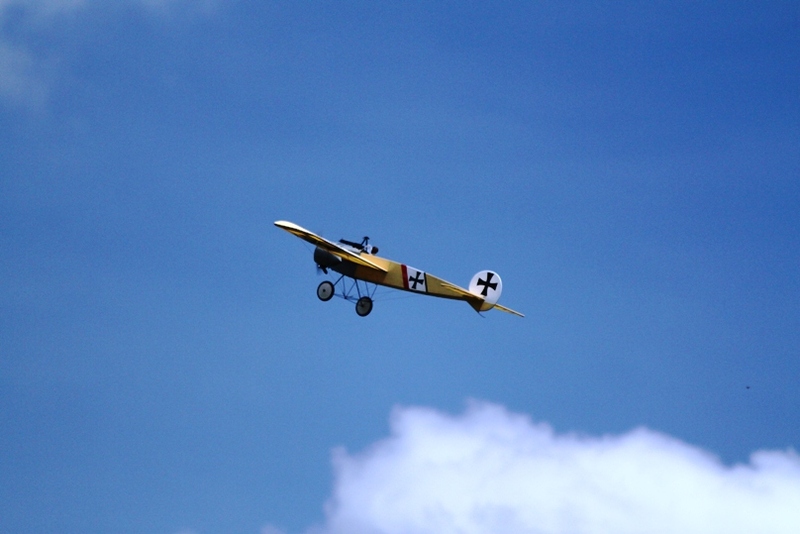 An Eindecker in flight, a very nice plane, I think Matt Kemp's. 29. 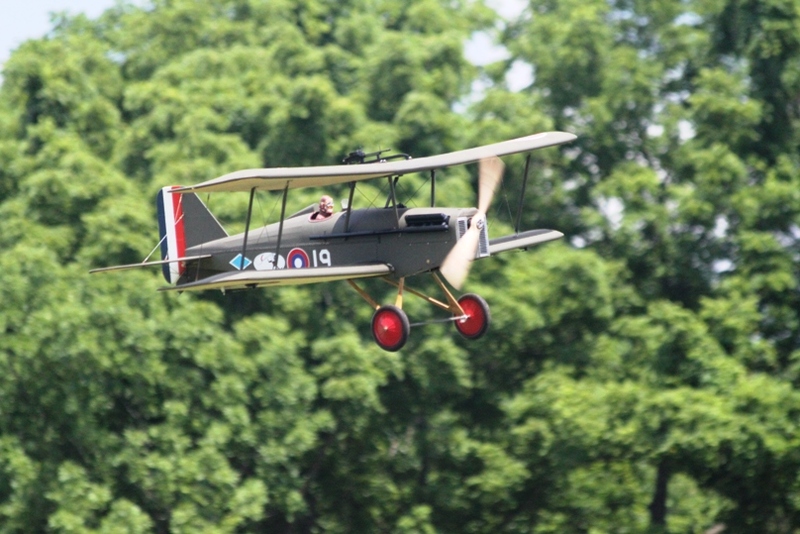 Steve Percifield's SE-5 in flight. 30. 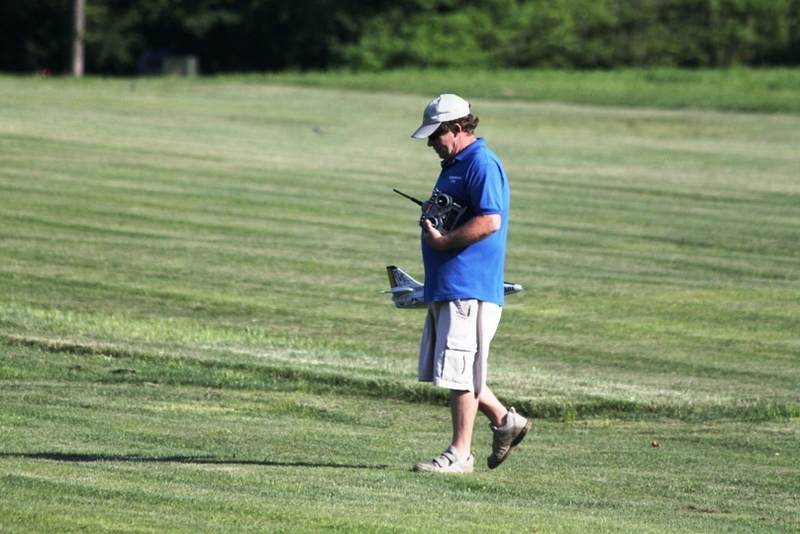 Nice shot of Steve's SE-5. 31. 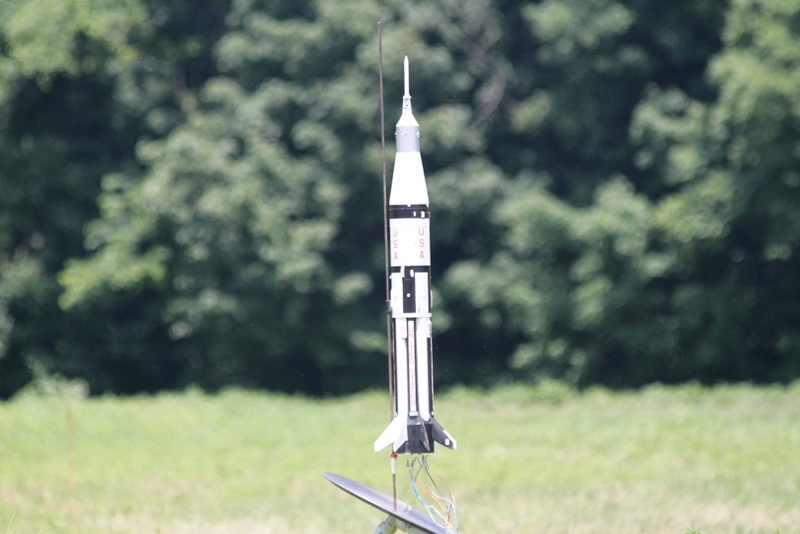 New club member Joe Miller's scale Saturn 5 rocket, ready to go. 32. 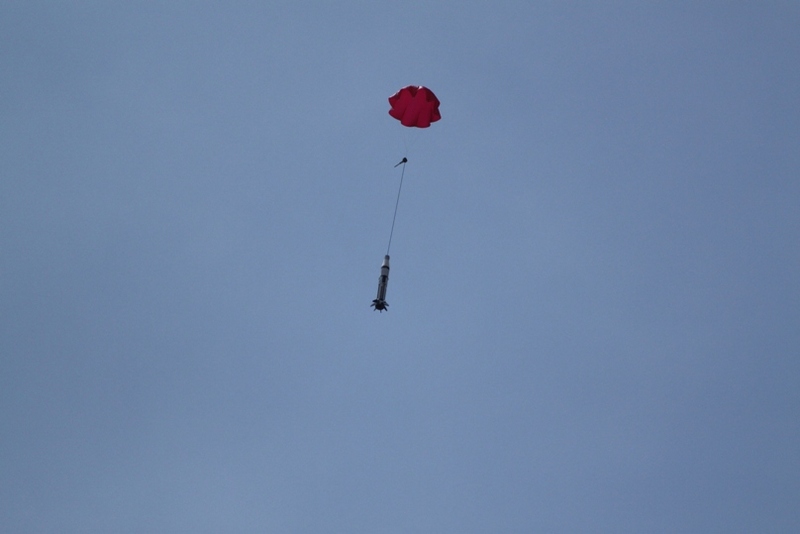 It went to fast, the next thing we got a photo of was it under chute. 33. 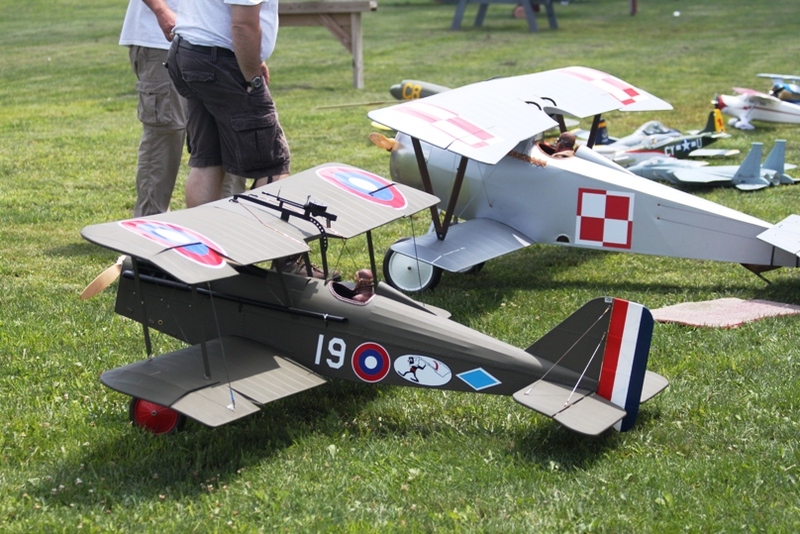 Steve's SE-5 and Nieuport in the pit area. 35. 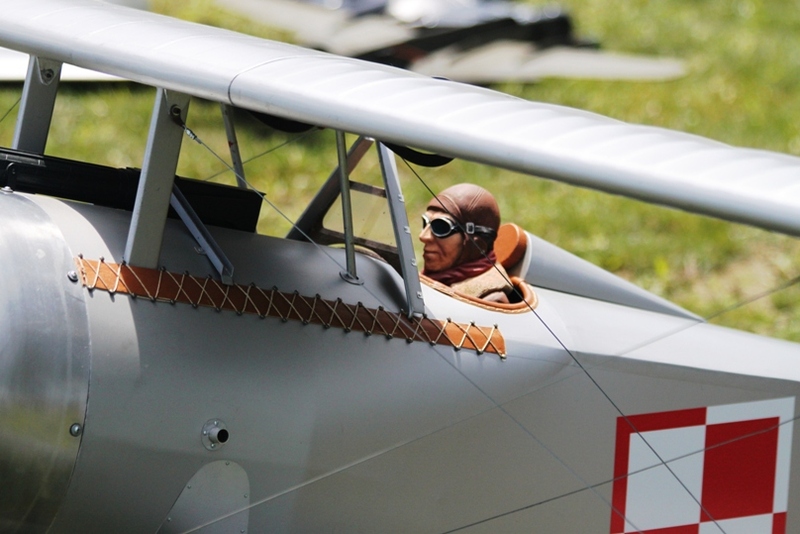 Up close shot of the Nieuport, very nice detail, powered by a Zenoah GT-80 twin. 36. 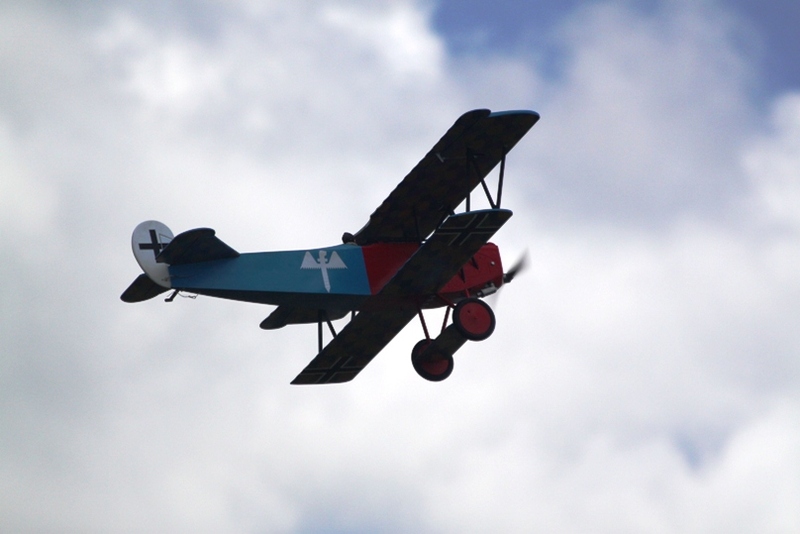 Bryan Baumer taxiing out his Hangar 9 Fokker DVII. 38. 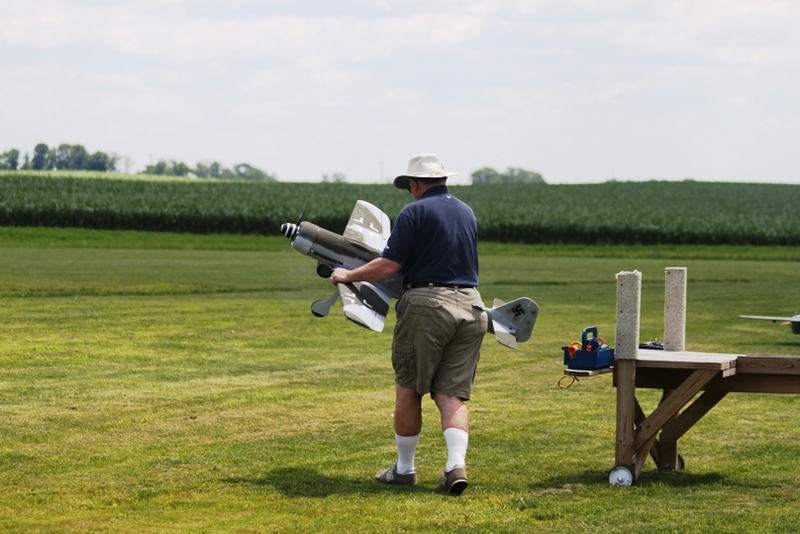 Bryan's DVII in flight, powered by a Saito .82 four stroke. 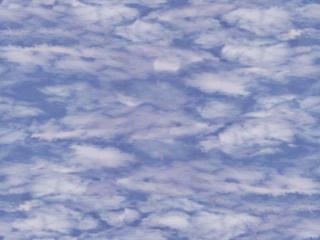 39. 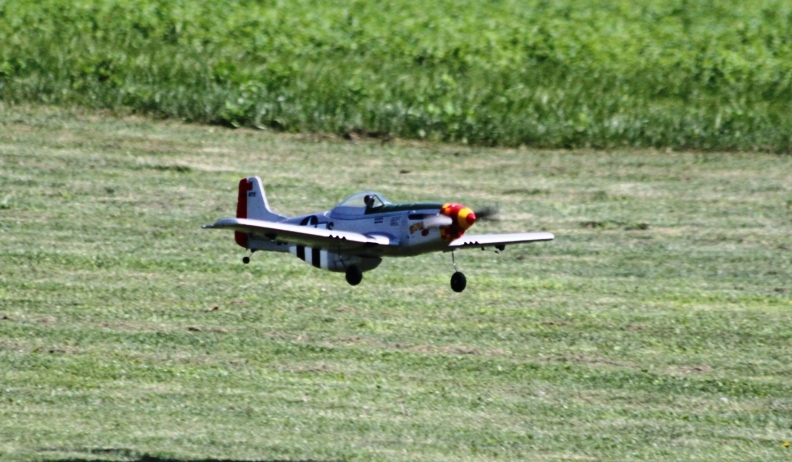 Rege Hall's Top Flight P-51 Mustang on a low level pass. 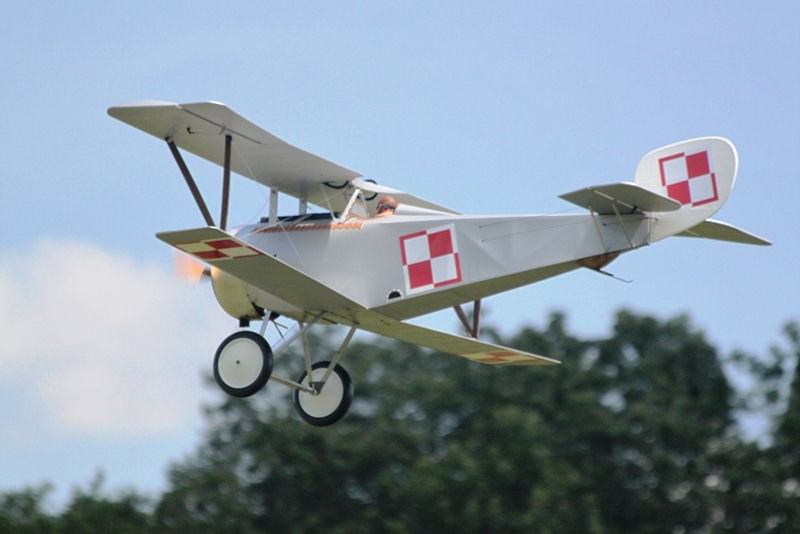 Powered by a ZDZ 40 gas engine. 40. 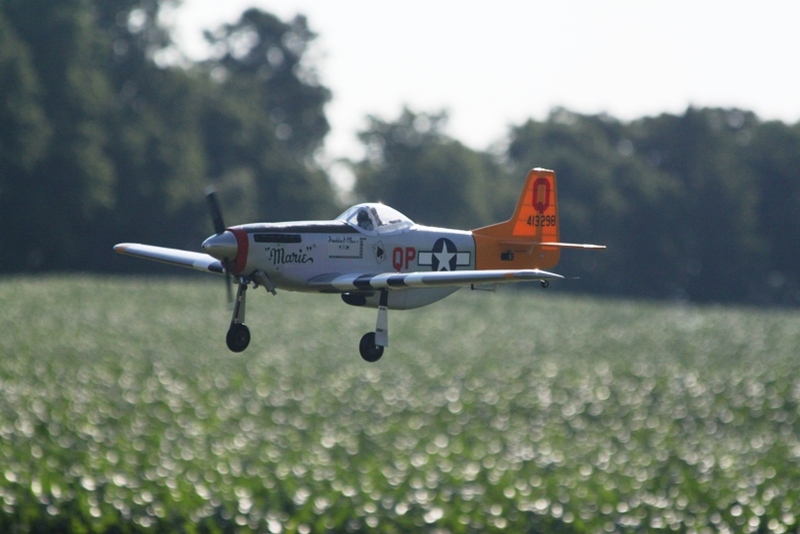 The Mustang making a show pass across the field. 41. 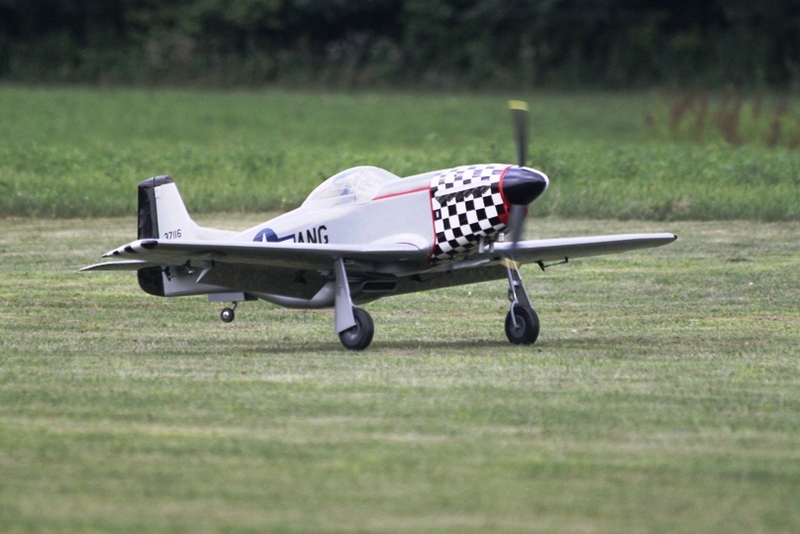 Gear down and full flaps, very nice landing with the 86" wing span Mustang. 42. Tom Carlyle and John Louden getting ready for the raffles. 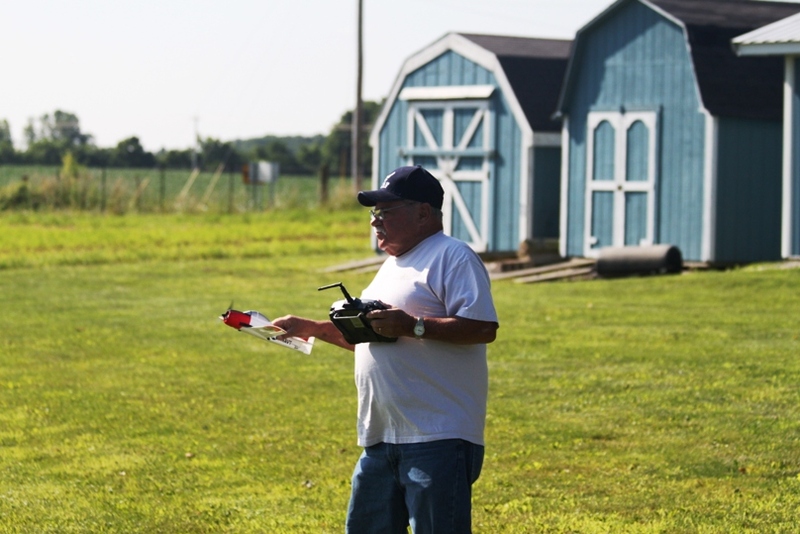 Stay tuned for more photos to be posted later. What a great day! 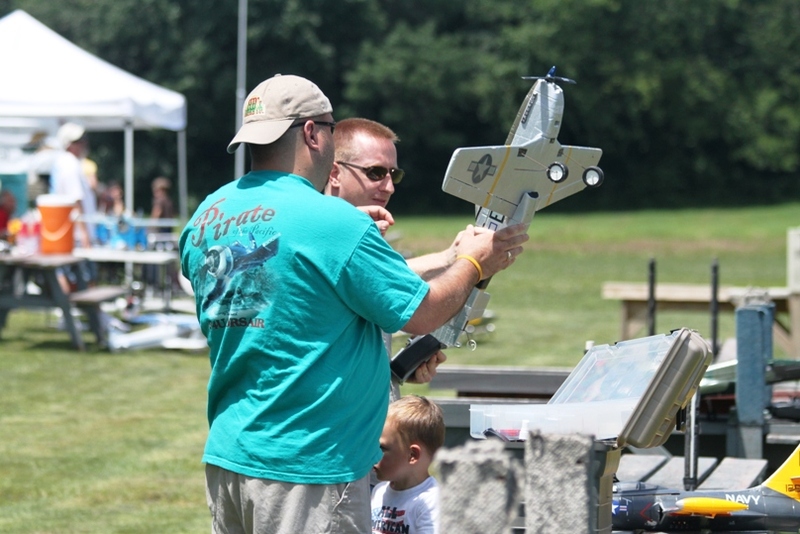 Tell your friends and family, last Saturday in June again next year.